How to apply for an Iran visa? Fill in our online Iran visa application form and submit your passport and scan of your picture. We will check your form and promptly confirm your eligibility to get an Iran e-visa. After you receive an online invoice you should pay the service fee online. 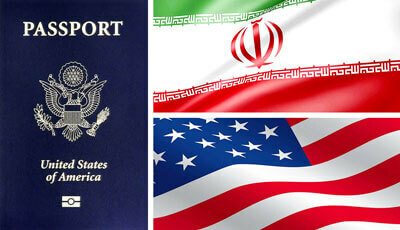 We will apply for your Iran visa as an Iranian authorized travel agency and get your visa approval in 2 business days. This approval is also known as the “Iran Visa Grant Notice”, “Iran Visa Authorization Code”, “Iran Visa Tracking Code” or “Iran Visa Reference Code”. Having your Iran visa approval, you have to refer to the Iranian Embassy/Consulate inside of your country or Iranian international airport, submit your passport and pay the visa fee. Due to unfair US financial sanctions against Iran, the Iranian Ministry of Foreign Affairs (MFA) can’t receive online payments. After you have made the payment, you can collect your Iran visa. It could be a printed visa sticker in your passport or just an Iran e-visa in PDF format. You should print it on A4 paper size and keep it until the end of your trip since this is official proof that you have entered the country legally. Iran e-visa system is a new e-tool introduced by the MFA in 2017 to facilitate Iran visa issuance online. It is an online portal ran by the MFA and allows the visa applicant to submit, track, and see the result of his/her application online. Fortunately, most nationalities are eligible to get a 30 day electronic visa on arrival (e-VOA) at Iran international airports. However, citizens of USA, UK, Canada, Afghanistan, Pakistan, Bangladesh, Iraq, Colombia, Jordan and Somalia are not entitled to get Iran VOA. To get a tourist visa to Iran, you need a passport valid for at least 6 months, scan of first page of your passport, scanned recent personal photograph and your Iran visa grant notice or Iran visa authorization code. 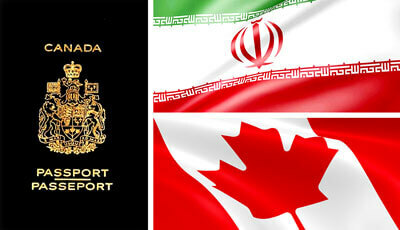 All Iran visa applicants need to apply online to get Iran visa approval. This approval is also known as the “Iran Visa Grant Notice”, “Iran Visa Authorization Code”, “Iran Visa Tracking Code” or “Iran Visa Reference Code”. Iran visa fees vary based on your citizenship and visa type you apply for. 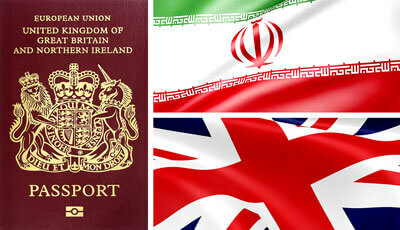 You can check our list to find out how much your Iran visa will cost in total. Whether Iran is your next destination or you are just considering visiting Iran in the future, here you can read detailed and updated info about Iran visa policies. We follow all policy/law changes and update the info frequently. Although citizens of the US, UK and Canada are welcomed to visit Iran, they are subjected to stricter policies to get their Iran visas. They have to travel to Iran as a part of organized and authorized tours and even if they are only one or two, have to be accompanied by an authorized tour guide during their stay in Iran. Really liked the service. Very straight forward, responsive and quick! And very reasonably priced! We and my wife are planning to go to Iran again and I will definitely get in touch with you again! Best Iran visa service ever! Best response time. Very organized company. They found solutions for all the problems I was facing regarding my Iran visa application. I highly recommend this agent if you want to get visa for Iran. Fast, polite and really helpful service. Will use again, highly recommended.